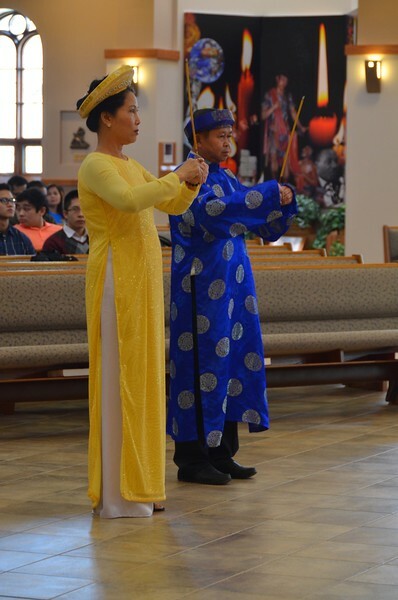 The Vietnamese community at St. Martin of Tours parish in Franklin, WI, celebrated Lunar New Year during the Feb. 7 liturgy. Lunar New Year is on Monday, Feb. 8; it's the Year of the Monkey! Fr. Joseph-Thien Dinh is assoc. pastor of St. Martin of Tours (and pastor of the Vietnamese community); Fr. Yvon Sheehy is pastor.